Our very own David Broman headed to the 2018 Pyeongchang Paralympic Winter Games as part of a multi-national team assisting athletes from around the world. Canadian Press article highlighting some of Hager Orthopedics David Broman’s efforts in support of Paralympic athletes at the Pyeonchang Winter Games. As a new mom, and orthotic resident, I was worried about the amount of time my baby spent on her back. We are told to put your baby on their back to sleep to reduce the risk of sudden infant death syndrome (SIDS) but when an infant spends too much time on the back of their head they can develop a flat spot, also known as plagiocephaly. Car seats, strollers, swings, and bouncy chairs all keep babies in the same position for too long. Tummy time and changing positions help but more severe plagiocephaly may require a custom helmet. Every night, after feeding my little girl, I would gently place her on her back to sleep. Unfortunately, when it comes to infant sleep it is luck of the draw. My little girl was not a good sleeper and only wanted to nap on top of Momma but when Momma needed a break, the car seat or swing was a blessing. Throughout that first year, I thanked that brilliant person who invented the car-seat-stroller travel system. My little one would sleep peacefully as I drove to the store, bought my groceries, and then sometimes she would continue to sleep in her car seat when I returned home. The infant car seat was amazing for my sanity but not so great for her head shape. I tried to counteract all the time spent on her back with tummy time. Tummy time sounds so easy in theory. You place your baby on their tummy and they happily play with their toys. This easy idea becomes much more difficult when your baby starts crying every time they are placed on their tummy. 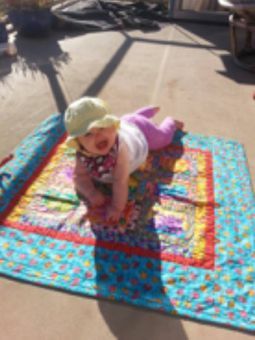 I persevered through my baby’s protests and found different ways to do tummy time. Tummy time on my chest was my baby’s favourite method. Even with regular tummy time, my little girl still developed a small flat spot on the back of her head around four months. Once I noticed the flat spot, I became even more diligent with the tummy time. After every diaper change I would place her on her belly while I washed my hands. We took her for lots of walks in our soft structured carrier. Once she started rolling onto her belly to sleep and sitting up on her own, her flat spot began to disappear. This is the most common flat head presentation. The head is flattened on one side, the forehead may bulge on the same side, and one ear may move forward. The head shape resembles a parallelogram. 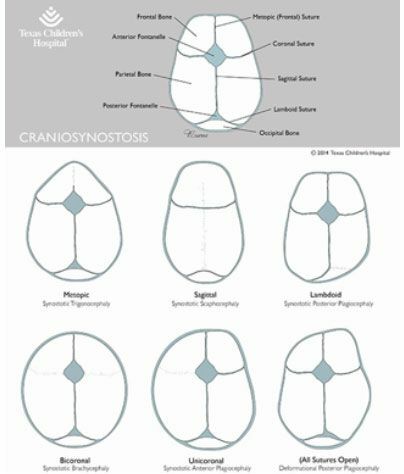 The incidence of positional plagiocephaly ranges from 16-20% in the first four months1. Symmetrical flattening of the back of the head. The head may appear taller and wider. Premature fusion of the bones in the skull. This head deformity presents different than plagiocephaly and there will sometimes be a ridge where the bones have fused. This condition may require surgery and should be ruled out by a doctor. A long and narrow head. Premature infants are at risk of this because they are placed on their side for easy access to medical equipment while in Neo-natal Intensive Care (NICU). One study found that 51% of infants placed on their back to sleep developed positional plagiocephaly2. This study also found that babies who had a preference for which side they turned their head had 4x the risk of developing positional plagiocephaly2. Interestingly, male infants have a slightly higher risk of developing positional plagiocephaly than female infants. 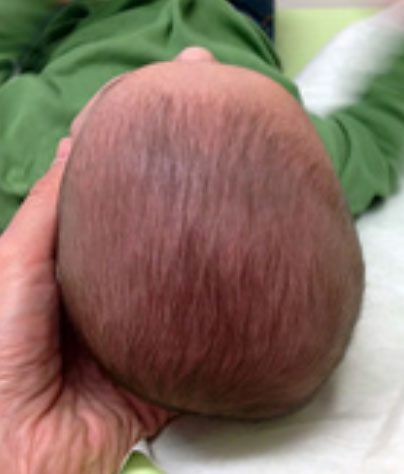 This is thought to be because male infants typically have a larger head circumference and therefore have more weight pressing on the back of their head2. The Canadian Pediatric Society recommends at least 10 to 15 minutes of tummy time, three times per day1. This can be on the floor, on the parent’s chest or lap, holding in the colic position, or using a rolled blanket under the chest. Switch the end you place your baby’s head each time you lay them down in the crib or on the change table. Switch the side the car seat is on every so often. Carry baby in a baby carrier on your chest or back. Supported sitting using a nursing pillow or a bumbo chair once they have good neck control. If baby favours lying with their head on one side, try repositioning them to the other side. If baby has tightness in their neck, ask for referral to a pediatric physiotherapist for stretching exercises. My Baby Has a Flat Spot, What Do We Do? It is important to have your baby assessed if a flat spot begins to develop. A Certified Orthotist can take measurements of your baby’s head and determine the severity of the flattening. If the asymmetry or flattening is mild then you may be referred to a physiotherapist for repositioning and stretching exercises. 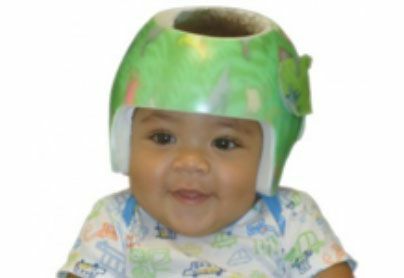 If, however, the plagiocephaly is severe your child may need a special helmet. There are two ways to make plagiocephaly helmets. The traditional way is to make a small cast of plaster of paris bandage over the baby’s head. The orthotist then uses this cast to make a positive model of the baby’s head. The model is modified so that there will be no pressure points on the baby’s head while allowing the skull to grow from the flattened areas. The other way to make a helmet is using a 3D scanner. The scanner takes a 3D image and then uses a computer to create the model of the baby’s head. In both methods, soft foam and plastic are vacuum molded to create the helmet. The end result is the same. The 3D scan creates less mess then the plaster bandage but it also tends to have long wait times. In British Columbia there are only a few places that have the 3D scanners; whereas, many orthotic clinics do plaster casting. Plagiocephaly is a time sensitive condition. The Canadian Pediatric Society suggests that the latest age to start helmet therapy is eight months1 because after this age, not as much improvement will be seen. For this reason, the wait times for 3D scanning can be a detriment to your baby’s head shape. Your baby’s skull is quickly growing and changing. They will be measured at every visit to monitor the improvement. As their head grows, the helmet will be adjusted to accommodate the new growth. Your baby will need to wear their helmet 23 hours/day. The only time the helmet is removed is for bathing and cleaning. It is important to inspect your baby’s head when the helmet is removed to ensure they are not getting any excessive pressure or skin irritation. If so, they will need an adjustment. Most babies quickly adapt to the helmets and do not mind wearing them. The best time to start helmet therapy is 5 to 6 months. The longer you wait, the less effective the therapy is. In severe cases, helmet therapy and physiotherapy should be combined from the start as opposed to waiting to see if the physiotherapy was effective first3. After eight months the improvement is much less but can still be seen in infants older than 12 months4. The first year of parenthood is all about survival. Sleep is sporadic and free time is few and far between. 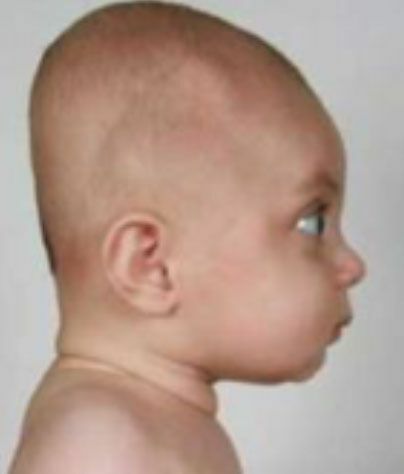 Even with perfect parenting, babies can develop flat heads. If you have concerns about your baby’s head shape ask your doctor, pediatric physiotherapist, or Certified Orthotist for an assessment. One in nine Canadian women will be diagnosed with breast cancer in her lifetime. Thankfully, the percentage of deaths from breast cancer is decreasing due to early detection. However, breast cancer is a complex disease and 26-69% of diagnosed women may need to have breast tissue removed through a mastectomy. 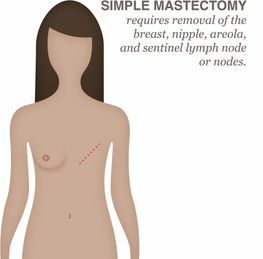 A mastectomy can significantly alter a woman’s appearance. Breasts are associated with femininity and the loss of breast tissue can change how a woman views herself. Some women may opt to have reconstruction. However, not every woman is a candidate for breast cancer surgery and others choose to avoid another surgery. For women that have not undergone reconstruction, or have had a reconstruction that leaves them unsatisfied, there are breast prostheses. Breast prostheses can restore the silhouette and symmetry that a woman had prior to her surgery. The prostheses look like breasts and can be worn inside a pocketed bra or directly on the skin. There are a variety of shapes and sizes that can be custom fit to match the remaining breast or to match the breasts that were removed. Most breast forms are made of lightweight silicone. Breast prostheses do not limit your activities. There are breast forms available for everyday activities and ones made specifically for swimming. British Columbia’s Pharmacare provides coverage for a new breast form every two years. If you have had a mastectomy or lumpectomy and are interested in breast prostheses, look in your phone book or search engine under “mastectomy”. Make sure that the clinic or store you choose has a Certified Post-Mastectomy fitter. Certified fitters can ensure that your natural symmetry and shape is restored and can submit for funding through Pharmacare. If you would like more information on breast prostheses, post-mastectomy bras, or compression bras, please contact Hager Orthopaedic Clinics Ltd. at 250-861-1833. Angela Creighton-Leroux is a Certified Prosthetist and Certified Post-Mastectomy Fitter at Hager Orthopaedic Clinics Ltd. in Kelowna. Q: I saw a YouTube video of an amputee using an electronic hand that could do everything a real hand could do. Are these hands available? A: This is a new breed of Myoelectric hand. The hand contains individual motors that power each finger and in some cases, the wrist. Small electrodes embedded in the prosthesis pick up electrical signals from the patient’s nerves. These signals are interpreted by a microprocessor. The hand then responds to the users wishes. Depending on the hand, there can be over 24 different modes that it can operate. Our Certified Prosthetists use a computer to individualize each patient’s unique requirements. Some hands even have a smartphone app to allow the user to customize their settings. 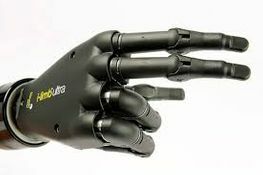 There are three advanced myoelectric hands available, the iLimb, the BeBionic and the Michelangelo. To learn more about Myoelectric Prosthetics call our clinic for a consultation. David Broman is a Certified Prosthetist and Orthotist at Hager Orthopaedic Clinics Ltd.